Take a look at this Newport Beach wedding photography. Being a wedding photographer allows me to experience all types of unions. Honestly, there is nothing quite like young love. Especially high school sweetheart everlasting love. David and Megan have known one another since they attended junior high school together. They became close friends once they started attending high school. Only nine months later they realized this was love. This was not just high school puppy love. This love was real. At that moment they realized they were meant for one another for life. A bride’s beautiful gown makes perfect for Newport Beach wedding photography! Working and attending college around their engagement and wedding planning wasn’t easy. Megan attends University of California Riverside and will be graduating in June, 2013. David started out attending Riverside Community College, but realized joining the Navy was really his calling. David enlisted in the US Navy. He was put into the Nuclear Engineering program and has been attending school for the past two years. Life gets busy, but they approached their wedding like any other milestone. They focused on their relationship with love and energy. Only days before Christmas the wedding took place aboard the Newport Princess Yacht. Inseparable since those early high school years, these sweethearts were thrilled to become man and wife this past December. The wedding ceremony and reception took place with Electra Cruises. They chose to wed aboard the Newport Princess Yacht in Newport Bay, Newport Beach. I was thrilled they chose me as their wedding photographer and really enjoyed shooting this beautiful pair. The entire yacht was decorated with holiday décor, including ornate Christmas trees, garland and pearls. The wedding was a beautiful, sunny day upon a calm sea of love. The entire yacht was decorated with holiday décor, including ornate Christmas trees, garland and pearls. The groomsmen looked dapper in their three-piece tuxedos and the bridesmaids sparkled in crimson dresses. The entire wedding party was dressed for the season, but with a modern, wedding flair. Megan was an angel in white. Her floor length gown was simple and elegant. She wore a beautifully beaded headband and veil. They were a perfect compliment to her gorgeous deep red and crimson calla lilies. David stood handsome and proud in his black suit accented with a crimson tie. His eyes sparkled with love. David was beaming with joy as he saw his bride for the first time walking towards him down the aisle. The ceremony was true to the couple; simple, sweet and lovely. The reception was full of laughter, friends, food, family, giving of gifts, dancing and pure joy. Watching these two young people grow together over the years has only solidified my belief in true love. No matter what the age, the time these two have spent together has created a union that will last through their lives. It is with great joy I attended such an event and was able to participate as their Newport Beach wedding photographer. Their love is strong and lasting. I look forward to photographing their children and family for years to come. And that fateful moment has arrived. 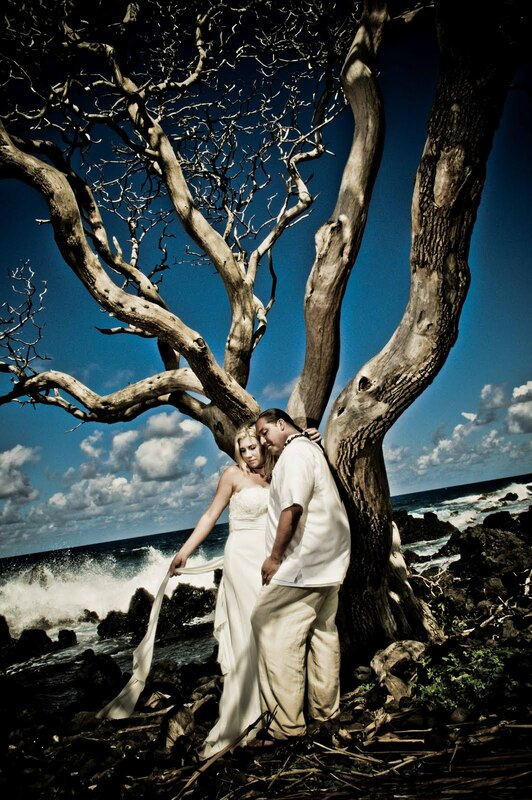 It is time to book the photographer for your wedding…your very special, irreplaceable day. You have two things in front of you. An old crumpled magazine clipping you cut out of a wedding magazine when you were sixteen (the shot still makes you tear up), and that lovely wedding budget, which also manages to be a source of tears these days. So, what do you do? Craigslist is calling you…there’s tons of new photographers out there that you could book for like nothing and maybe help them build their portfolio in the process. You’d be doing them a favor as well as your pocketbook for sure, right? I have been asked the question so many times, “Why should I spend so much on a professional photographer when I could pick some novice on Craigslist and save myself a lot of money?” Here is my answer. Below are my Top 3 Reasons You Should Splurge on your Wedding Photographer. 2) A novice does not know how to utilize all the equipment available to them yet or use them quickly enough to capture the moment! This is SO important. When shooting professionally, there are always many things going on in the photographer’s world that the client is completely unaware of; or at least they should be. There are lens changes, battery swaps, light arrangement (we watch the sun like it’s a two-year old next to a swimming pool), aspect rations…the list goes on and on…not to mention photo editing. This takes time to learn! Especially in wedding photography. I say that italicized because it needs to be. There is a reason people charge more for a wedding. Because it is a completely unique form of photography that requires a lot more work than your standard scheduled photo shoot. No one wants to be that photographer that misses the moment for a lens change or dead battery. A professional wedding photographer knows what to expect, when to expect it and how to be prepared for every moment. 3) A professional wedding photographer knows a wedding almost as well as a wedding coordinator. A photographer must learn the flow of a wedding in order to tell a story. Over time, usually as an apprentice, a photographer learns what works, what doesn’t, how much time to spend on each shot, a collection of mentally stored poses at your disposal, the ability to make people feel comfortable with you very quickly, can think on the move, knows what to look for and when and sometimes very important…how to make a not so pretty scene absolutely stunning. As an amateur or novice photographer, you miss a lot merely because you don’t know what to expect. Lastly, remember this. Your wedding pictures are one of the only things that will outlast your wedding itself! The cake and decorations are gone, your dress is vacuum sealed and stored away, the tuxedos were returned to the rental place and you are now left with what? The small top cake you are supposed to freeze and eat as a couple a year later? That’s it? Thousands of dollars out of pocket and nothing more than a future freezer burnt cake to chew like piece of jerky on your first anniversary? Oh wait, that’s right…the photos! I know I sound cheesy, but let’s face it. Like buying a house, you get what you pay for in wedding photography. You might spend more than you wanted, but isn’t it worth treasuring something as important as your photos for years to come instead of growling with regret every time you look at them? When preparing for your wedding, you are thinking about a million things. The dress, the venue, the guest list, the food, the flowers, the theme… The list goes on and on. But all of the details will be hazy and eventually forgotten if your photographer doesn’t get necessary time to capture all those important moments. It is the photography that gives you a beautiful visual record of your special day, a record you can enjoy for a lifetime. As a professional wedding photographer, there are things I wish all my brides and grooms knew. While the list could be really long, I think these three points are the most important and will help you help me really give you the best pictures possible. Make sure you allot enough time for your pictures. I can’t emphasize this enough! Too many couples only provide a short time between the ceremony and the reception to capture all those important family portrait shots. Making sure I have enough time to get in all the shots you want so you can remember your big day and cherish these images forever. If you don’t know how much time is enough, ask me! I’m glad to explain the process and work with you to get the time-line right. Just like in real estate, photography is often about location, location, location. Having a great location for your portrait shots with the right lighting makes all the difference! Scout out your venue before the wedding day to find great locations for your portrait shots. If you don’t want a stray dumpster in the background of your only portrait with great-grandma or be pestered by swarms of small insects while you smile and pose for 45 minutes, make sure you find a few great spots ahead of time! Wedding professionals from photographers to officiants love wedding coordinators! They know what needs to be done. It is their job to organize your wedding day, allotting enough time for everything to get done while making sure it’s beautiful and everyone has a good time. If you can’t afford to hire a coordinator (which, honestly, wedding professionals wonder how you can afford NOT to hire one), make sure you talk to me and your other vendors. We’re happy to explain how much time is needed to give you our best. It can help you draft a realistic schedule or time-line of the day. Then, designate a trusted friend or family member (preferably someone who can be punctual and direct but pleasant) to ensure everyone knows their place and stays on schedule. Lindsey & John Destination Wedding Maui! 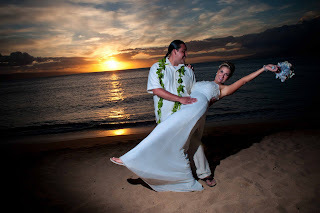 I am so blessed to be the destination wedding photographer for this amazing couple, John and Lindsey Arviso They chose to be married on the perfect island Maui, the Valley Isle. As the wedding began, a gorgeous rainbow with the most vivid colors stretched side to side as if beckoning us to delight our eyes on the princess bride soon to appear through this extraordinary vision. Incredibly, the rainbow remained the entirety of the ceremony. In this magical Island of Maui even rainbows are mystical. Following the ceremony, we were privileged to a perfect sunset changing colors with every breath, simply a photographer’s castle in the sky. Speaking of photographers, I was so fortunate to have my friend/photographer second shoot with me for this incredible destination wedding, Sonia Tapia. Her assistance and eye for detail is impeccable. The very next day we jumped in our cars to drive “The Road to Hana”. We made many stops for amazing photo opts which included waterfalls and the Black Sand Beach. Two days later we ventured out to take advantage of more of the island’s natural beauty, the Sugar Cane Train, Mama’s Fish House for dinner and then into the waters of the North Shore. I believe the treacherous waters calmed just for the time Lindsey and John danced in the sea and sky. Gorgeous!